In the seafaring lore of yore at least two statements have traditionally been held as fact: the more rum the more merry the mates and any and all women are bad luck. While the origin of the first statement is fairly obvious, the second may require a bit of explanation. In the times of ancient mariners it was held that not only were women incapable of doing physical work aboard a ship but also that they were a distraction to the men onboard. Together these two factors were thought to produce a dangerous inattention to the sea which could anger the forces of nature and cause fearful storms and gales. 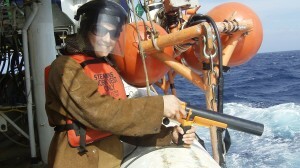 Samantha Bova (Brown University) prepares to deploy and XBT over the side of the R/V Langseth. 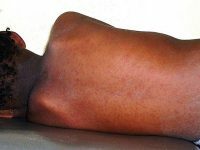 XBTs are used to measure the temperature and salinity of the ocean. 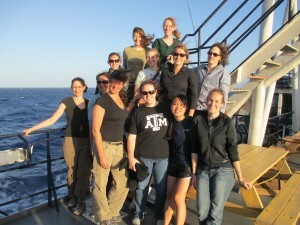 The female geoscientists aboard the Langseth. Jean Lynch-Stieglitz in a teaching moment in front of the main lab console. 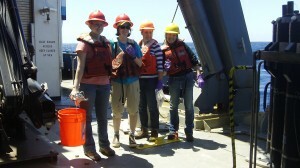 Christina King, Ashley Maloney, Allison Jacobel and Kate Wejnert getting ready to sample the CTD. Fortunately (or perhaps unfortunately depending on how you feel about the first statement), we here on the Marcus G. Langseth are bucking the shackles of yore in the most dramatic of fashions. On this cruise not only do we have women aboard but all ten of the graduate students and our post-doc are female! Sam Bova – Brown U., Ann Dunlea – Boston U., Heather Ford- U. of California, Jen Hertzberg- Texas A&M, Allison Jacobel – Columbia U., Christina King – U. of Rhode Island. Ashley Maloney – U. of Washington, Julia Shackford- Texas A&M, Kate Wejnert– Georgia Tech, Ruifeng Xie – Texas A&M. 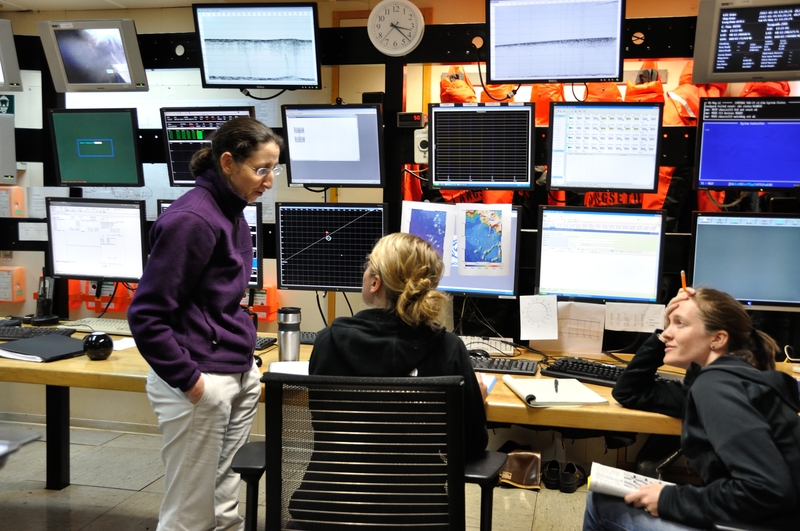 While over the past 20 years, women have increasingly demonstrated their ability to compete in many sectors of the workforce, a slower trend has been observed in the geosciences than in any other STEM discipline except engineering. In 2004, 42% of the BA and BS degrees awarded in the geosciences were to women and only 34% of the PhDs awarded in the geosciences were to women. Most troubling is that of full professors in US geosciences departments only 8% are women. It will likely take more than one generation to overcome these trends, but many of us aboard the Langseth are optimistic. While the driving forces and support networks behind the women on board are unique, several commonalities can be found. I think most in the field would agree when I say we’re a well-awarded group and here I think credit is due to both government programs and private foundations for recognizing the need and opportunity to support young women in science. While some might point to the demographics on board as a reason that the emphasis on supporting women in science is no longer needed, I think the scarcity of female professors in tenured positions at most universities is a clear argument that this emphasis should continue. We also owe thanks to the pioneering female scientists who were instrumental in deconstructing many of the biases against women in science and who paved the way for our generation’s steps forward. For example we are fortunate enough to be led in our scientific mission by Jean Lynch-Stieglitz, one of our two chief scientists. Jean was the first female professor in the Department of Earth and Environmental Sciences at Columbia University and holds amongst many accomplishments the 2000 receipt of a NSF CAREER Award in recognition of her role as an outstanding leader in both education and research. Jean is currently a professor at Georgia Tech and last but certainly not least, mother of two. Finally, I think some credit is due to the male scientists on board (and those PI’s back on land) who helped to bring us each aboard and who recognized our skills, drive and potential among a field of qualified candidates. 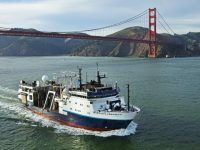 These men are neither intimidated by, nor resentful towards, the smart women aboard and have invested their time and academic resources into helping us all to become better scientists. While the prevalence and acceptance of women in the geosciences is growing, we are also aware of the professional gaps left to be bridged, both in our own field and others. 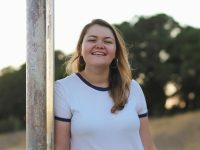 I don’t take the opportunities I’ve been given for granted and believe I speak for the other women aboard when I say we hope to encourage other young women to pursue their interests in the sciences and other traditionally male-dominated fields. Through participation in professional societies, activities involving disadvantaged girls in schools, summer programs and more, we hope to make waves not only in the seas of the South Pacific but also in in the communities we call home. Allison Jacobel is a graduate student at Columbia University who studies the past circulation of the ocean and atmosphere using the chemistry of deep ocean sediments. I should not neglect to mention that we are fortunate to have one male undergraduate on board, Victor Castro, who is a much-appreciated member of the scientific party. Holmes, M.A., O’Connell, S., Frey, C. & Ongley, L. Gender imbalance in US geoscience academia. Nature Geoscience 1, 148–148 (2008).